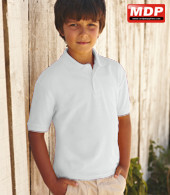 Quality kid's polo shirt from Fruit Of The Loom. Easycare with taped neckline. 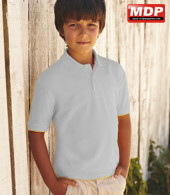 Two-button fused placket with self-coloured buttons. 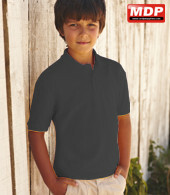 Pack pricing for Kids Polo Shirts is for 12 garments in the same colour and size.